This paper discusses the framework for identifying high risks in the Fluid Penetrant Inspection (FPI) of critical parts, based on Analytic Hierarchy Process (AHP) and Bayesian Belief Network (BBN). This topic is very important because the inspection of critical parts with Fluid Penetrant (FP) in the industry is very critical. The correct selection and use of an adequate analysis method is key to the success of the inspection. If risks are not identified and proper responses are not provided, catastrophic accidents can happen. In this study, potential risks factors and typical scenarios pertaining to FPI have been investigated based on the most current literature on the subject and validated by process experts. The combination of probability and the impact identified the most significant risks. As a result, the method revealed that the most significant risks in the FPI of critical parts are Negative Organizational Factors, Unfavorable Control/Environment and Operator Failure. 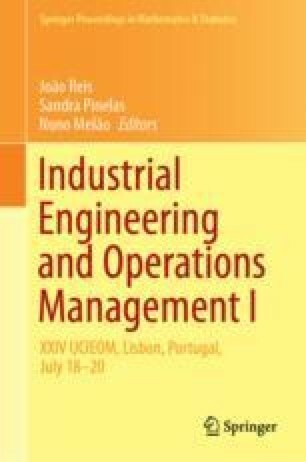 The conclusion is that the proposed method is an invaluable source for safety engineers and decision makers in companies, in the sense that it augments their information and help to identify critical risks in FPI of critical factors and implement actions to avoid critical parts failure and improve the safety in the inspection of critical parts.